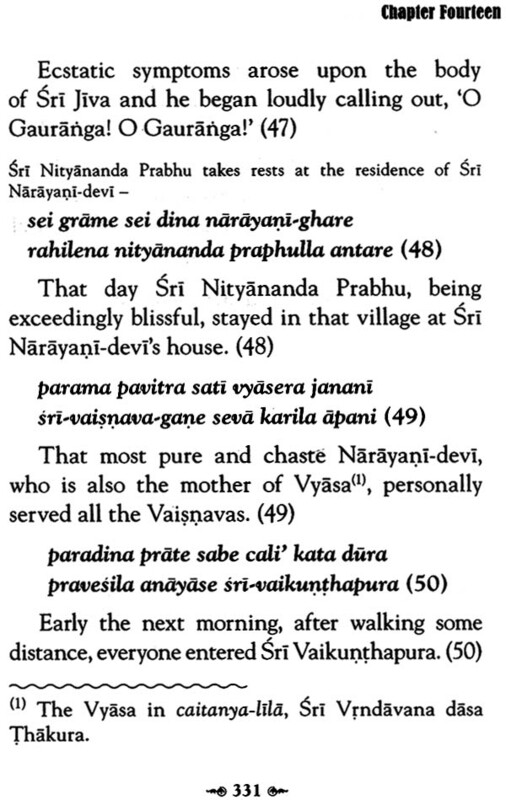 Today I am feeling unlimited joy that by the inspiration and causeless compassion of my most worshipful holy master, nitya-lila-pravista om visnupada astottara-sata sri Srimad Bhakti Prajnana Kesava Gosvami Maharaja, we are presenting for his pleasure an unprecedented Hindi edition of Sri Navadvipa-dhama-mahatmya, Parikrama-khanada. 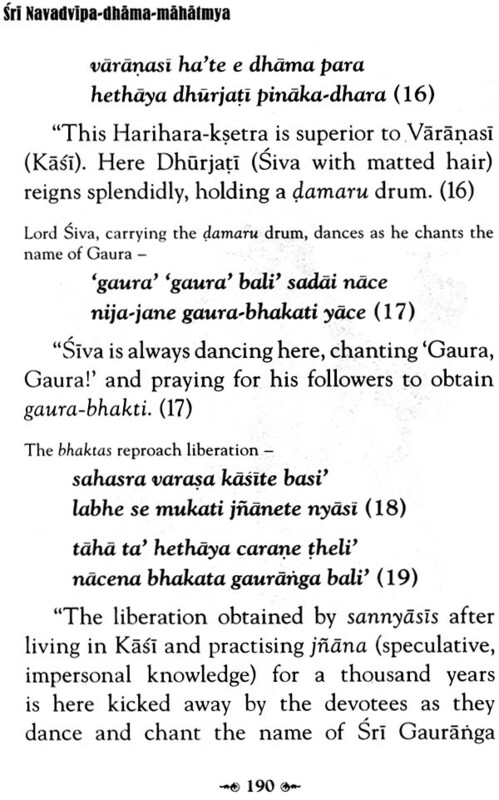 The original Bangali work was composed by the Seventh Gosvami Srila Saccidananda Bhaktivinoda Thakura, who is the embodiment of Sri Gauranga Mahaprabhu’s potency (gaura-sakti svarupa). 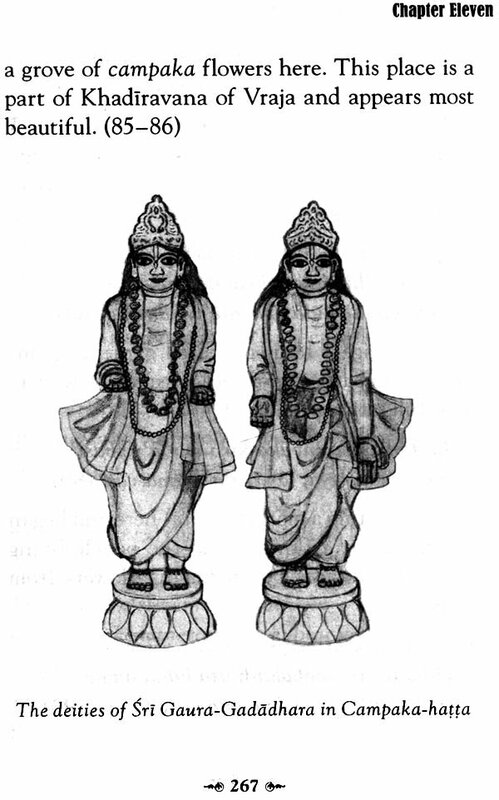 Sri Gaura and Sri Krsna comprise an identical spiritual principle (tattva); there is no difference whatsoever between them. Sri Krsna, the personification of sweetness (madhurya-vigraha), is none other than Sri Gaurasundara Himself, who is the personification of munificence (audarya-vigraha), and vice versa. Sri Krsna’s abode, Sri Vrndavana, is similarly identical in all respects to Sri Gaura’s abode, Sri Navadvipa, which is actually called Gupta-Vrndavana, the hidden Vrndavana. In this way both the divine principles (tattvas) and holy abodes (dhamas) are eternal and not affected by mundane considerations such as time, place and circumstance. 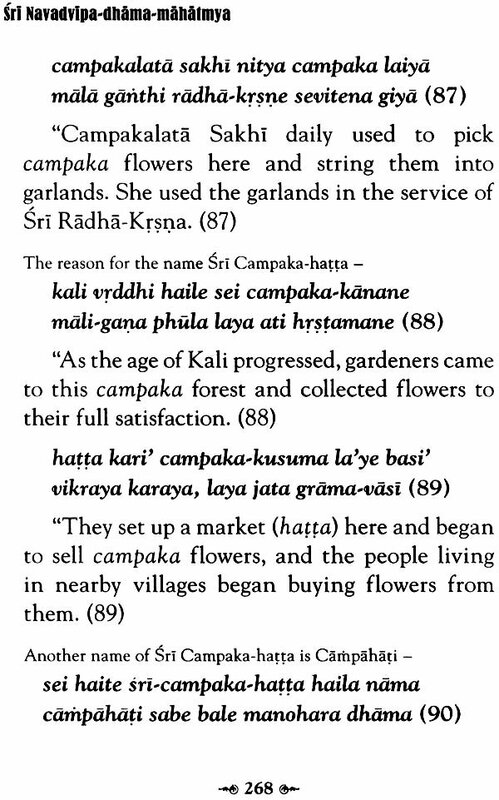 Krsna-nama kare aparadhera vicara [Sri Caitanya-caritamrta, Adi-lila 8.24] . 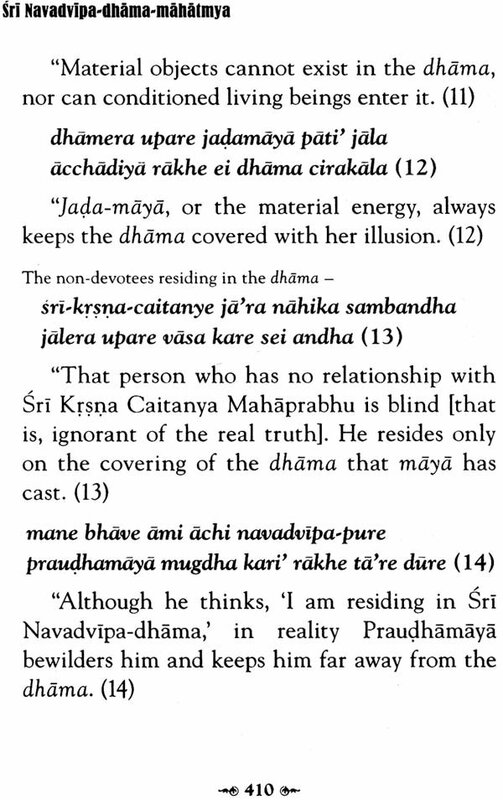 Even if he is chanting the name of Krana, a person who is committing offences will not be able to attain love for Krsna (Krsna-prema in millions and millions of lifetimes. 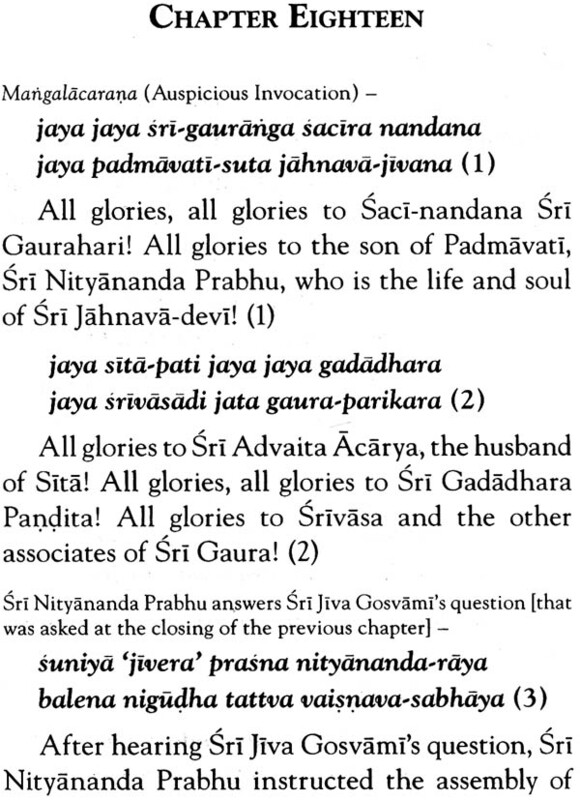 However, gaura-nityanandera nahi e saba vicara, nama prema dena, bahe asrudhara, Sri Gaura and Sri Nityananda do not consider any offences. When one chants Their names, prema will awaken in the heart and torrents of tears will begin to flow from the eyes. Like Sri Gaurahari Himself, His abode is supremely liberal and the most magnanimosus. Without worshipping and attaining the mercy of Sri Gaurahari and His abode, Sri Navadvipa, it is impossible to obtain darsana (a vision) and the mercy of Sri Vrndavana. 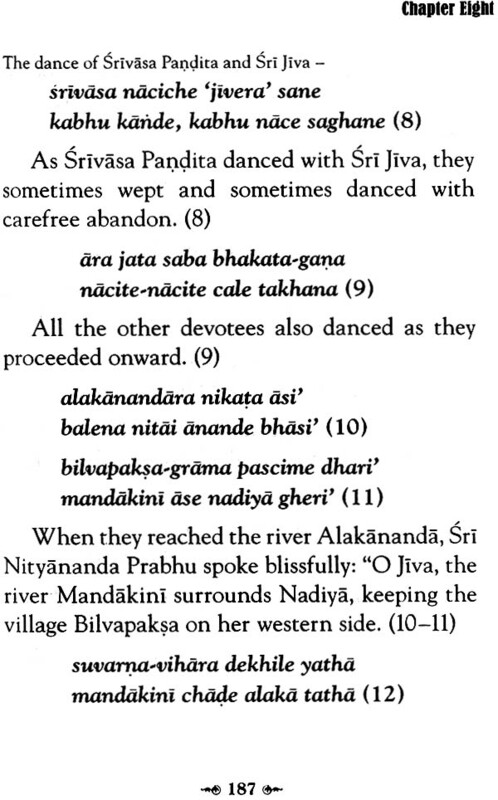 Sri Krsna’s dhama, Vrndavana, and Sri Gaura’s dhama, Navadvipa, are non-different. 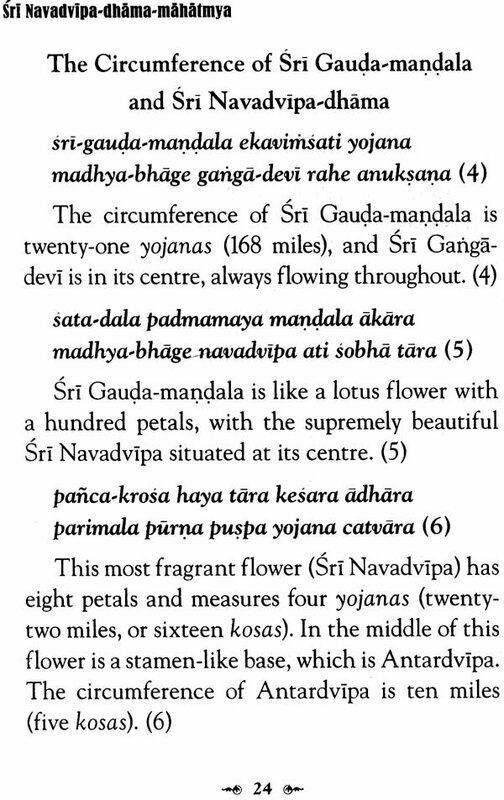 Therefore, the perimeter of Sri Navadvipa-dhama extends to sixteen kosas (approximately thirty-two miles), just like the perimeter of Sri Vrndavana. 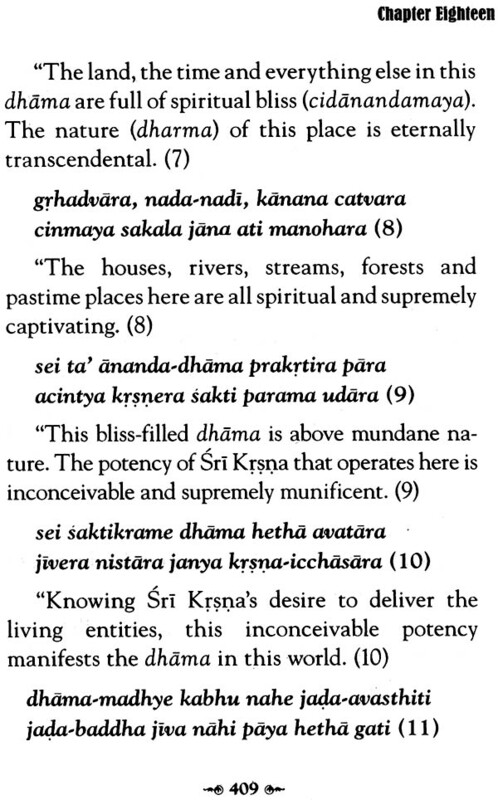 All the places of Sri Vrndavana, such as Sri Yamuna, Sri Govardhana, Sri Rasa-sthali, Sri Radha-Kunda, Sri Syama-kunda and various sub-forests, also exist eternally in a concealed form in Sri Navadvipa-dhama. 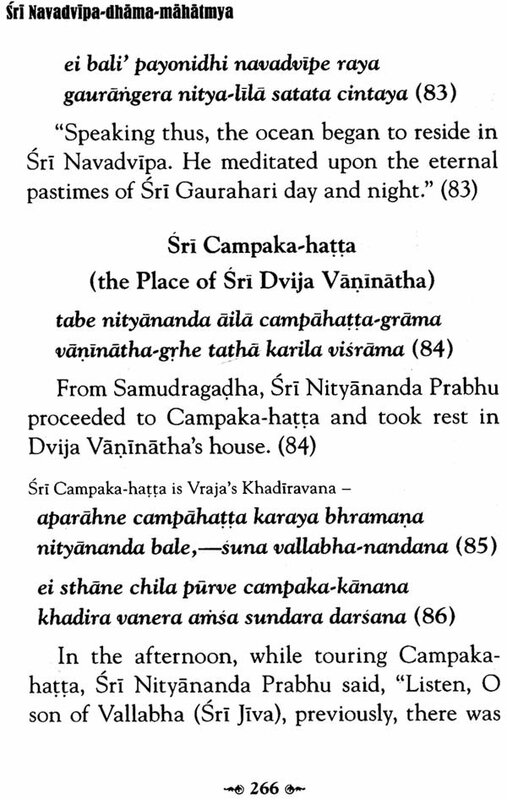 Sri Gaurasundara sports eternally in this abode. 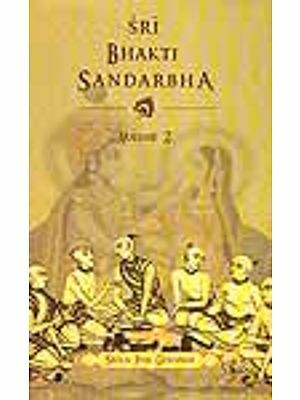 Fortunate living being can experience Sriman Mahaprabhu’s eternal pastimes by performing nama-sankirtana under the guidance of His pure devotees. 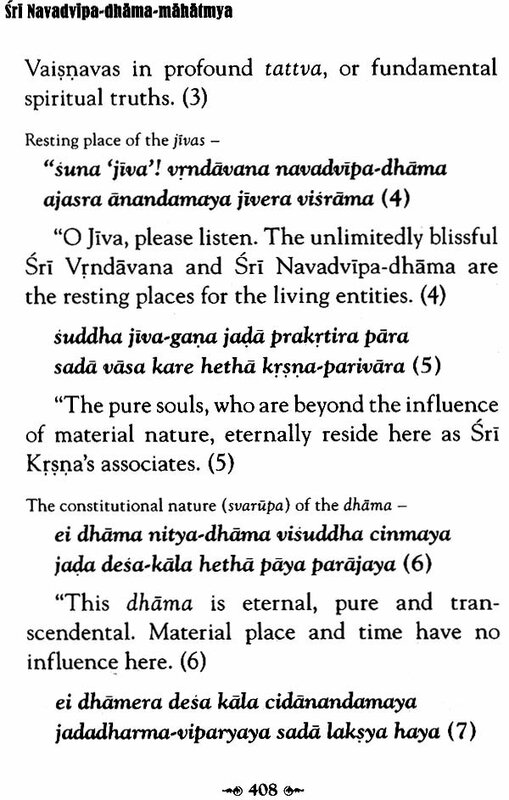 Sadhakas desiring to attain bhakti should completely give up all offences such as nama-aparadha, seva-aparadha and dhama-aparadha.persons who come to the dhama for darsana, parikrama and so forth should avoid committing offences to the holy abode (dhama-aparadha). After completing his education, he went to the state of Orissa and was appointed by the Government as Deputy Magistrate with specific duties. There, the Government also appointed him as the administrator of the famous Sri him as the administrator of the famous Sri Jagannatha Temple. During Srila Bhaktivinoda Thakura’s time, the service of Lord Jagannatha was beautifully and efficiently conducted. During these days in Puri, a so-called yogi named Visvaksena lived in a dense jungle of Orissa. He declared himself to be Sri krsna and people believed him. He made an announcement that he would perform the rasa dance during one full moon night, and the ladies of the neighbouring areas began to show eagerness to take part in it. Seeing this, all the villagers relayed their concern to the State Government. The Government appointed Srila Bhaktivinoda Thakura to investigate the situation, which resulted in the yogi being found guilty. 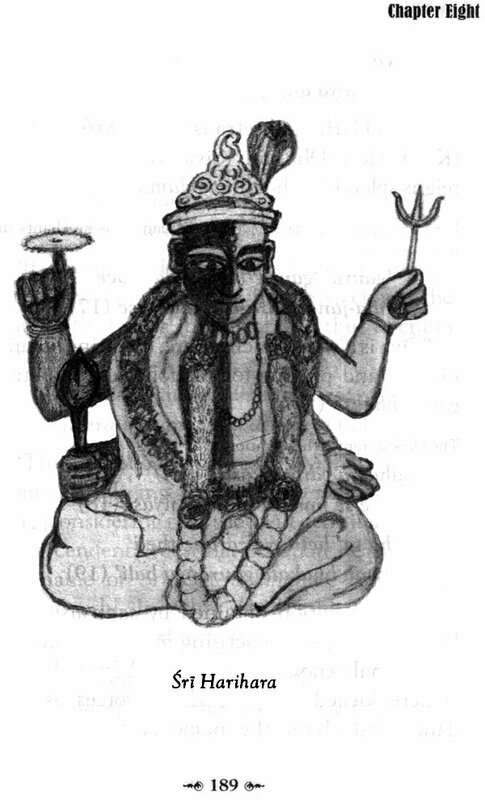 Srila Bhaktivinoda Thakura then sent the criminal to jail, where he fasted to death. Wherever Srila Bhaktivinoda Thakura went, he preached the religion of pure devotion as practised and preached by Sriman Mahaprabhu. He made a resolution that, upon retiring from his government post, he would go to Vrndavana and perform bhajana. On his way to Sri Vrndavana, he came to a place known as Tadakesvara, situated within the borders of West Bengal. There the great devotee Tadakesvara Mahadeva [Lord Siva] appeared to him in a dream and instructed him: “You are now travelling to Vrndavana, but you have to accomplish many tasks here. The appearance place of Sri Caitanya Mahaprabhu, Sri Mayapura-Yogapitha, has not been unveiled. 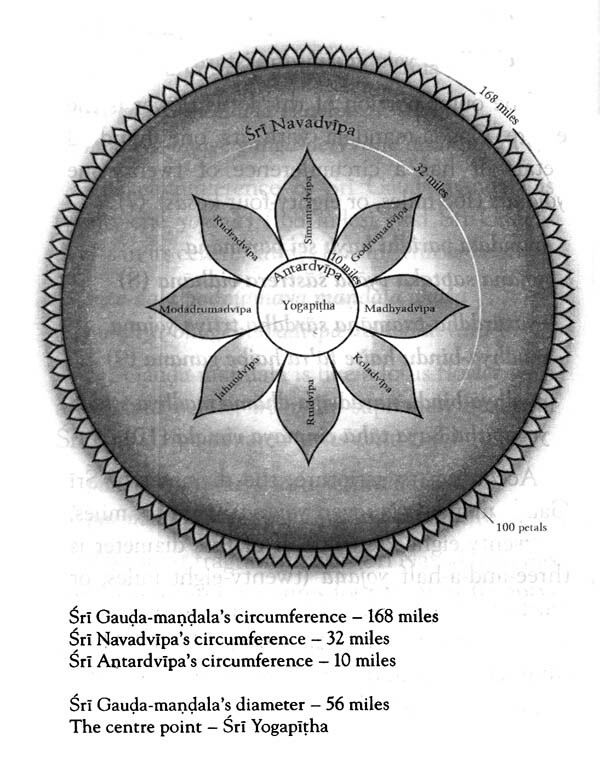 You have to reveal it and also reveal the islands of Navadvipa as well as their glories.” After receiving Sri Mahadeva’s instruction, he returned to Navadvipa and constructed a cottage in Godruma-kunja, where he began to perform bhajana. While living there, he revealed Sri Dhama Mayapura-Yogapitha. 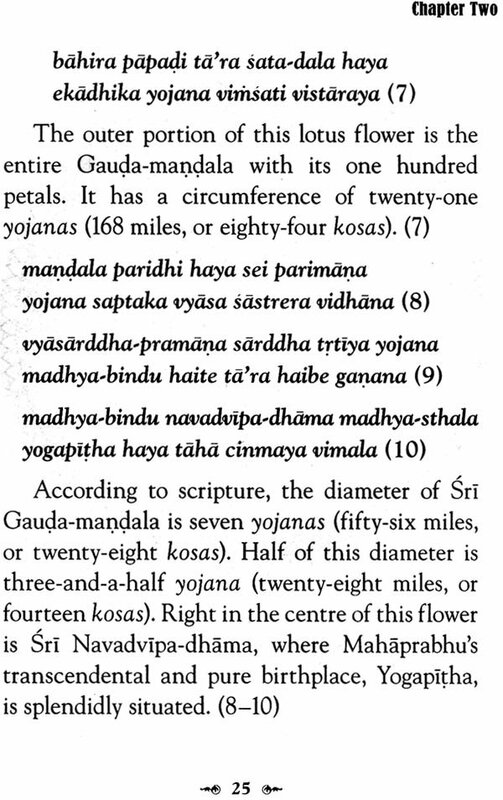 After finding the site, he wanted it verified by a superior Vaisnava acarya. 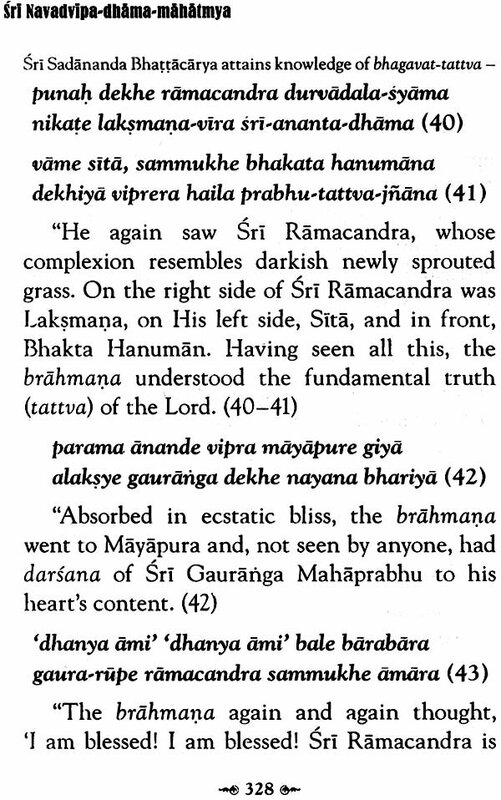 Therefore, he called vaisnava sarvabhauma Sri Jaganntha dasa Babaji Maharaja from Vraja. 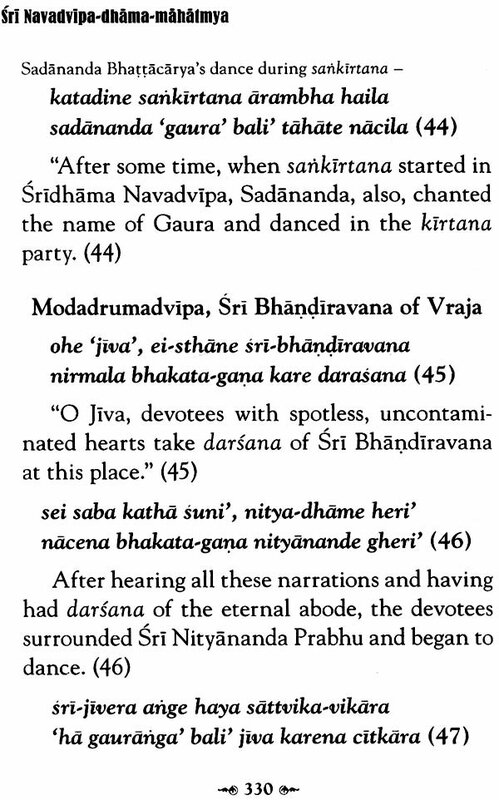 Upon arriving there, the 144 year-old Sri Jagannatha dasa Babaji Maharaja began to dance vigorously, proclaiming, “This is the birthplace of my most worshipful Saci-nandana Sri Gaurahari!” In this way, Srila Bhaktivinoda Thakura revealed the birthplace of Sriman Mahaprabhu, Yogapitha. After that, in community gatherings, he spread the news about its location. 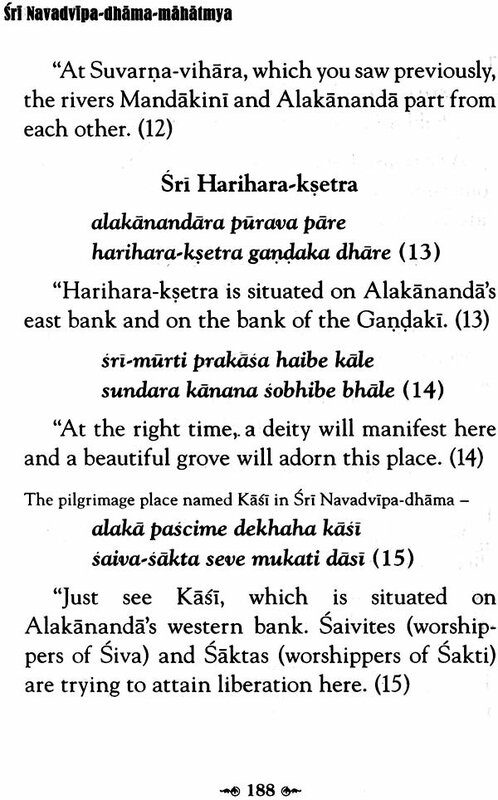 Srila Bhaktivinoda Thakura also accomplished one more glorious deed for this world by giving to the world Srila Bhaktisiddhanta Sarasvati [his son]. To fulfil the desire of Srila Bhaktivinoda Thakura, Srila Bhaktisiddhanta Sarasvati preached pure devotion and nama-prema (transcendental love for Krsna by chanting the holy name) as practised and preached by Sriman Mahaprabhu. 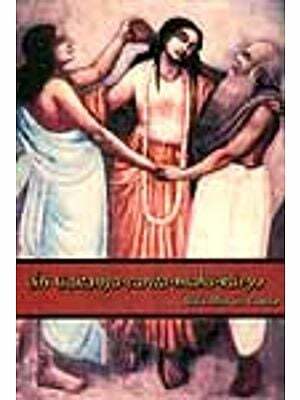 He preached not only throughout Bengal and India, but also throughout the whole world. 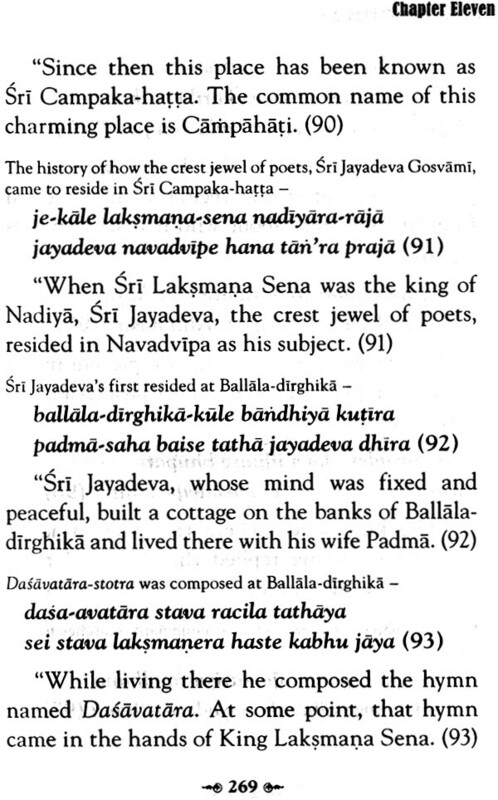 Srila Bhaktivinoda Thakura compiled more than hundred scriptures in various languages. 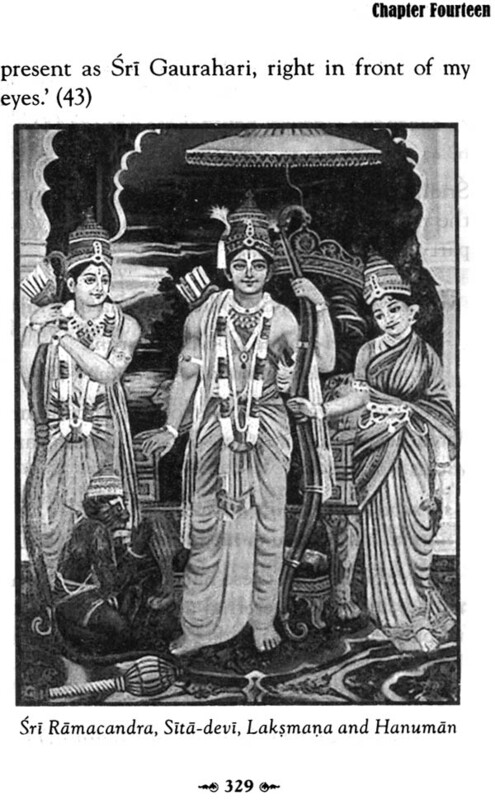 Among them, prominent are Sri Bhakti-tattva-viveka, Sriman Mahaprabhu ki siksa, Sri Caitanya-siksamrta, Sri Jaiva-dharma, Sri Bhajana-rahasya, Sri Navadvipa-bhava-taranga, Saranagati, Kalyana-kalpataru, Gitavali, Yamuna-bhavavali, Vaisnava-siddhanta-mala, Sri Navadvipa-dhama-mahatmya, Bhagavatarka-marici-mala, Amnaya-sutra, Krsna-samhita, Datta-kaustubha, Prema-pradipa, Sri Harinama-cintamani, Tattva-sutra, Amrta-pravaha-bhasya (a commentary on Sri Caitanya-caritamrta) and Rasika-ranjana-bhasya (a commentary on Bhagavad-gita). 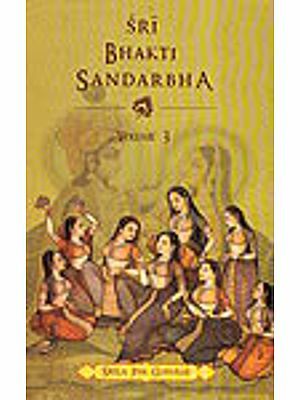 Srila Bhaktivinoda Thakura originally wrote Sri Navadvipa-dhama-mahatmya in Bengali.Although many editions have already been published in Bengali, this is the first Hindi edition. 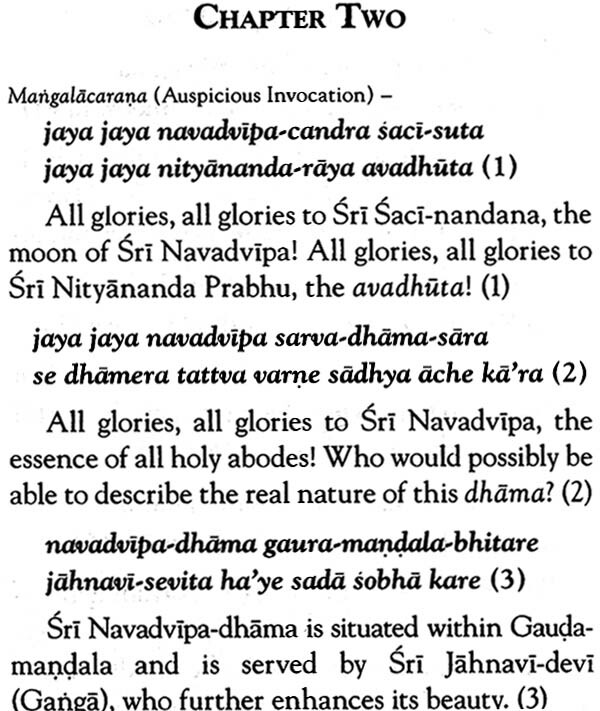 I am fully convinced that by studying and reciting this book the faithful devotees will understand the amazing glories of Sri Navadvipa-dhama,as well as the non-difference between Saci-nandana Sri Gaurahari and Vrajendra-nandana Sri Krsna. Thus they will obtain inspiration to perform their bhajana in the method shown by Srila Rupa Gosvami. 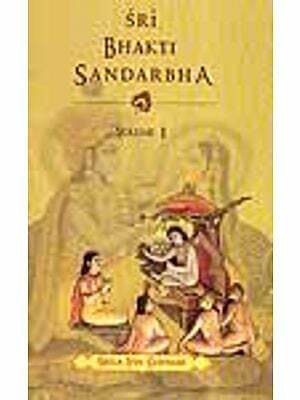 In addition, they will also understand many more spiritual principles in regard to Sriman Mahaprabhu and to bhajana. There is no need to say anything further about this.